If you’re planning a once in a lifetime trip this year, then we have the best Europe itinerary for you. This is one of our favorite itineraries because it covers some of the best major cities in Europe. 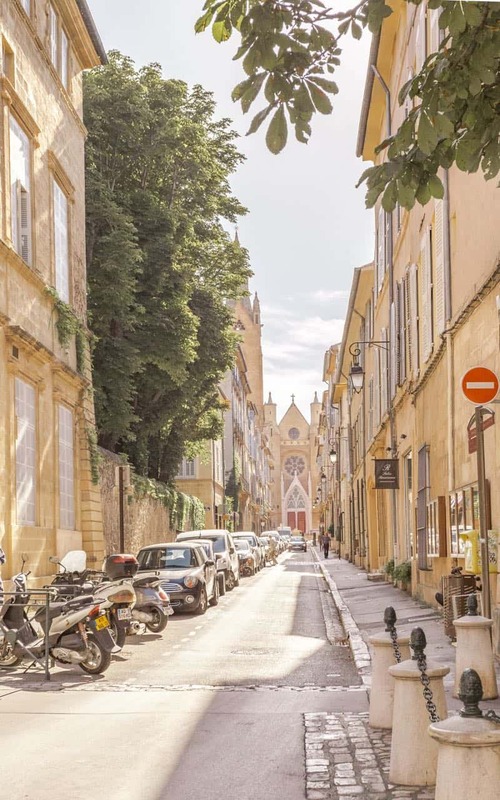 It includes bucket list destinations, ones that everyone has heard of (hello Paris) and we’ve even included Lisbon because it’s amazing and offers the traveler an entirely different vibe than the other three cities. And if none of these fit your bucket list dreams, then we’ve also listed out a few travel tips in case you want to plan your own 14 day itinerary (scroll all the way down). If this is your first trip to Europe and you want to just hit some of the highlights and top Europe destinations, then I would suggest a London – Paris – Lisbon – Rome – Amsterdam itinerary. These European cities are world renown and you can’t go wrong with any of them. It will definitely be a packed schedule so just something to be aware of while you’re planning out the details of your trip. You will also be traveling quite a bit between destinations so I would recommend flying (quickest way between each point). Because of the busy nature of this itinerary, you most likely won’t be able to fully cover the cities you visit but on the flip side, you’ll be able to experience 5 entirely different countries. So think of this itinerary as a sampler. 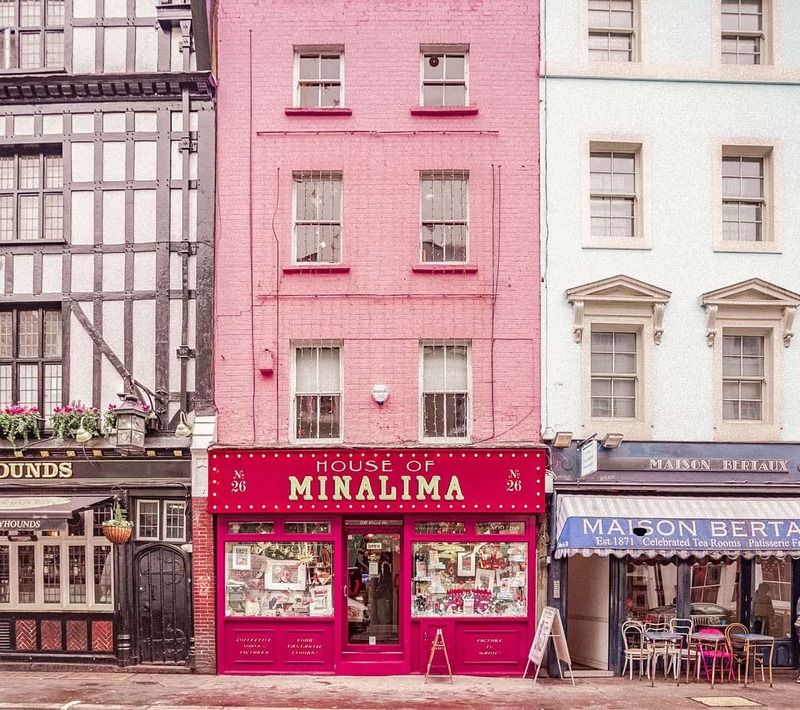 London (3 days): You’ll get a taste of London in 3 days. There are a lot of iconic spots: Big Ben*, Tower Bridge, Westminster Abbey, Hyde Park, Trafalgar Square, the British Museum, St. Paul’s Cathedral, Buckingham Palace and Sherlock Holmes Museum. 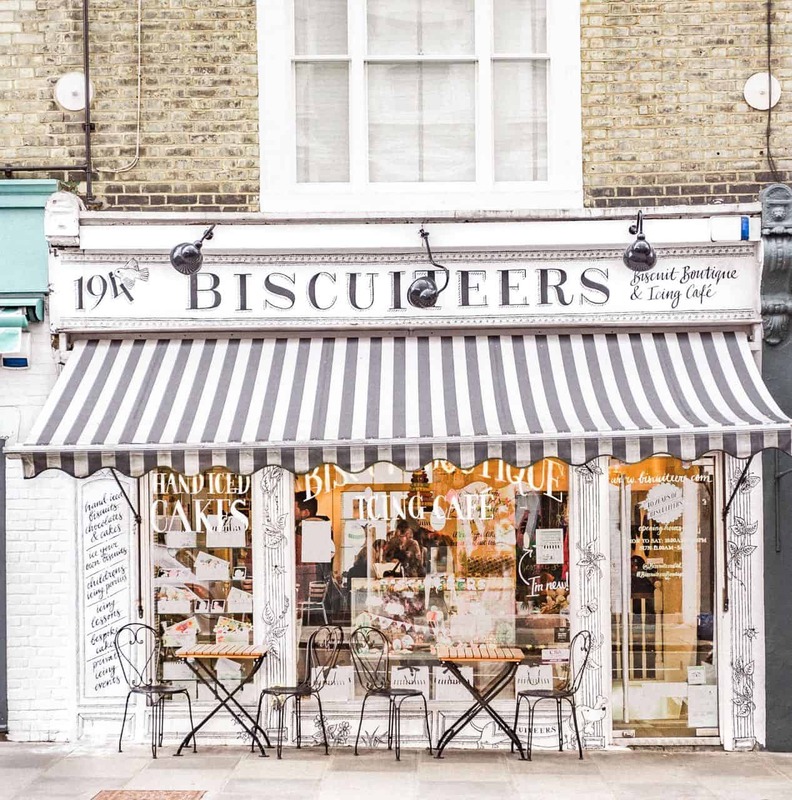 Top neighborhoods to visit: Shoreditch and Notting Hill along with Regent Street and Covent Garden for shopping. I’d also recommend afternoon tea because there’s no better place to have tea than London. 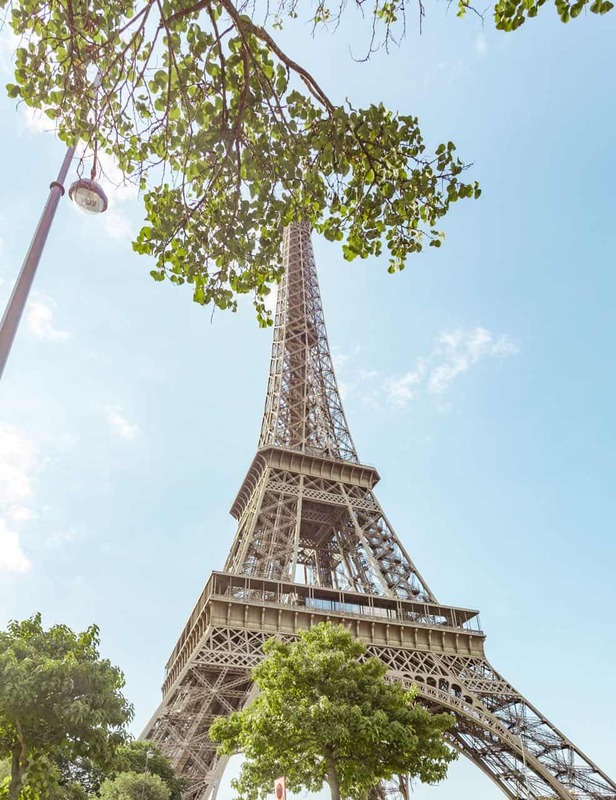 Paris (3 days): Paris is a dream and while Eiffel Tower views would be amazing from your hotel, I would also consider staying in Le Marais, an artsy neighborhood with charming streets and restaurants. Top museums include the Louvre and Versailles (for die hard history fans – this will take at least half a day to complete). Don’t forget to visit Notre Dame and Arc de Triomphe. 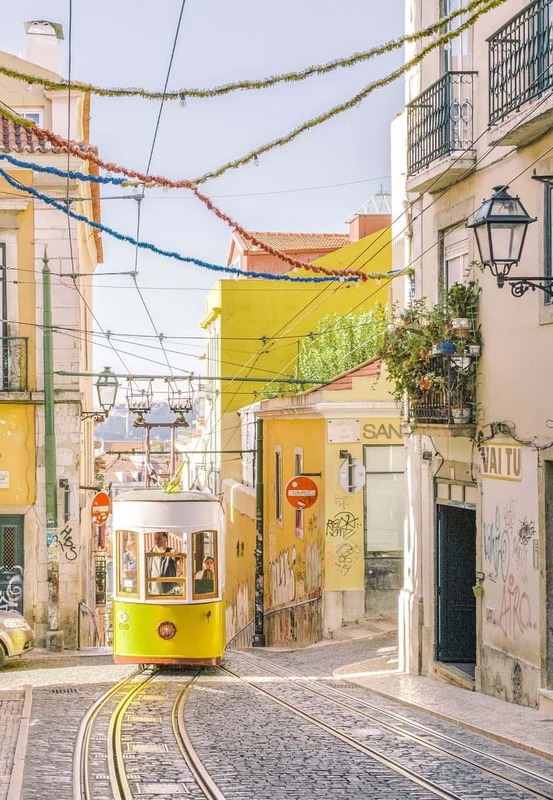 Lisbon (2 days): Lisbon has only recently been gaining popularity. 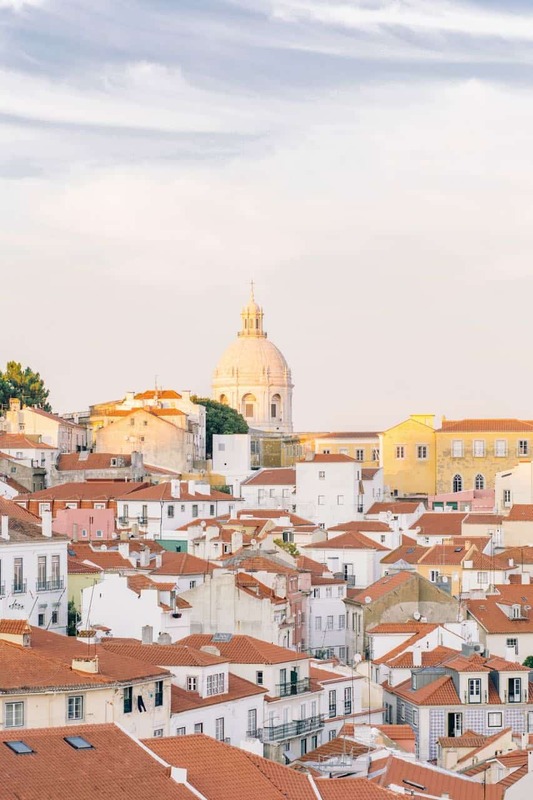 I’d highly recommend staying in Alfama for old town charm but if you’re looking to be more in the middle of a nightlife and restaurants then opt for Bairro Alto or Baixa or Chiado districts. You can take a day trip to Cascais and Sintra to see the famous fairytale castle, visit Belem Tower or attend a Fado. Rome (3 days): Stay in old town and be within walking distance to the Pantheon, Trevi Fountain, Spanish Steps and Piazza Navona. If you’re looking for more history and ancient sites, check out the famous Coliseum and Palatine Hill. 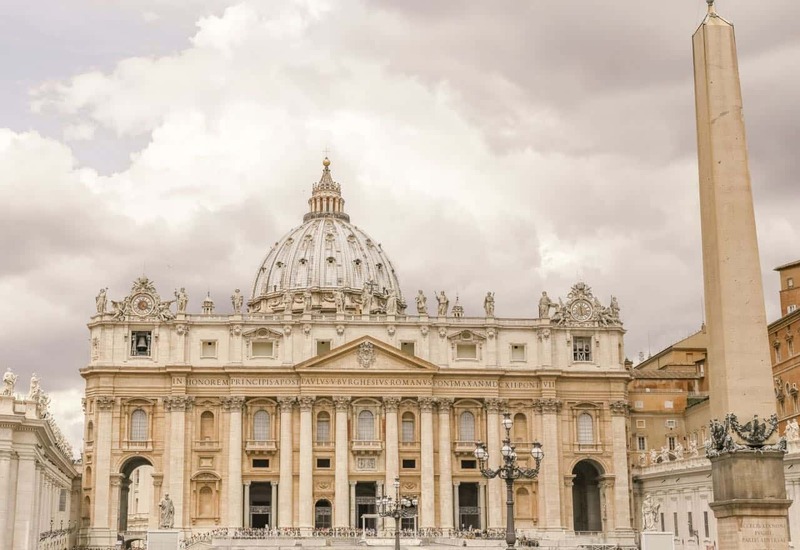 The Vatican & St Peter’s Basilica are a must if you’re an art history lover (note you can get into St Peter’s Basilica without reservations but you’ll need to reserve tickets for the Vatican in advance). Amsterdam (2 days): Head over to A’dam Lookout for the best views over Amsterdam plus the coolest swing, visit Van Gogh Museum & Anne Frank Museum, and snap photos of the canals (maybe opt for a canal cruise). **Plan your trip for the end of April/beginning of May if you’d like to make it in time for tulip season. There are so many different itineraries out there that it does get overwhelming to try to plan it all out. I’ve listed a few other itineraries, ones that I feel provide a good mix of culture, art and food. Most of these itineraries are divided out by regions in Europe as I do believe that makes traveling between destinations easier and less of a time waste. 2 weeks in Europe quickly whittles down to 12 days once you subtract travel time (which can be extensive if you’re coming from the USA). 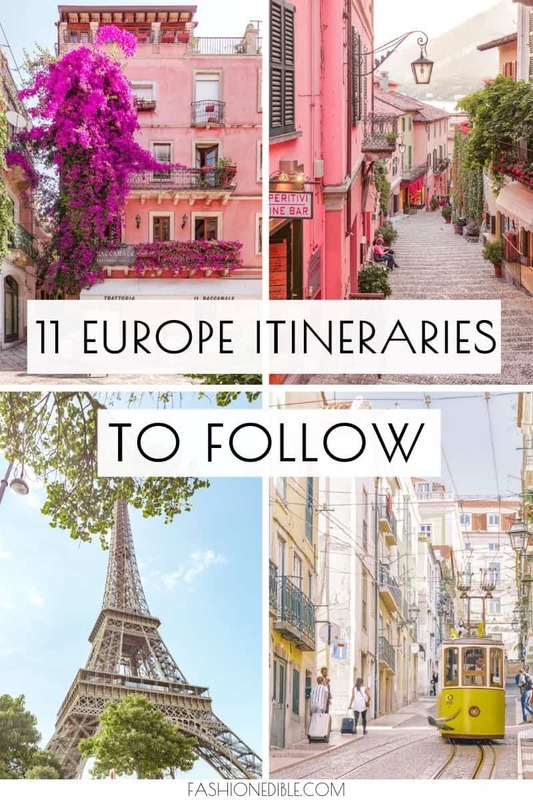 And if it’s your first time in Europe, you’ll want to especially maximize the precious time you have there so I think these itineraries do a pretty good job of either helping you cover a lot in a little amount of time or providing you with a great array of things to do. 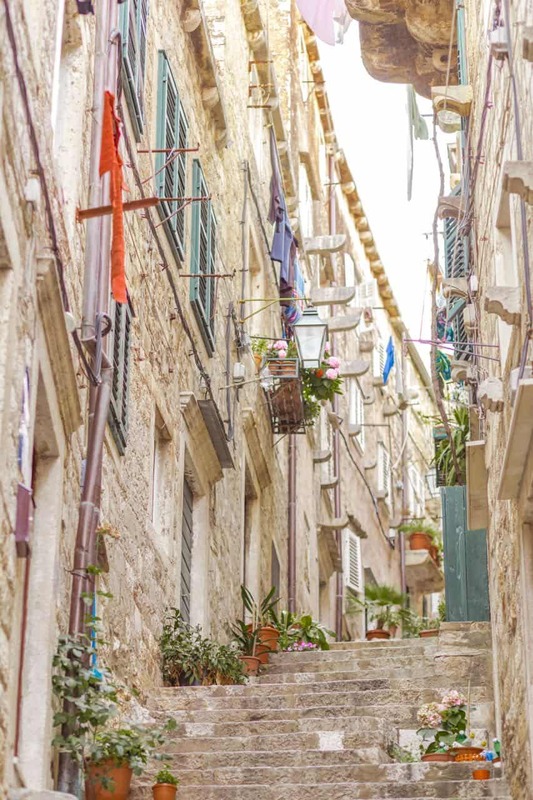 If you’re looking for just one country to visit and you want history, food, cheap prices and you hope to cross off some major bucket list landmarks, then I’d recommend doing Italy. In fact, I have two different 14-day Italian European itineraries for you to choose from. If you are visiting Italy for only 10 days, check out these three itineraries for 10 days in Italy. There are so many advantages to visiting just one country and Italy has a great train system so you won’t find yourself needing to rent a car. You’ll save a lot on travel time and you’ll feel like you truly got to experience the culture and country. Though fair warning, Italy is addicting and you may find yourself never looking at another European destination again. For this 2 week European itinerary, you’ll want to plan for Rome – Lake Como (Bellagio and Varenna) – Lake Garda (Limone Sul Garda) – Venice. This itinerary is a great mix of ancient history and beautiful scenery. Lake Como and Lake Garda are both located in northern Italy. Even though Lake Garda isn’t as frequently visited as Lake Como, I would highly recommend it. 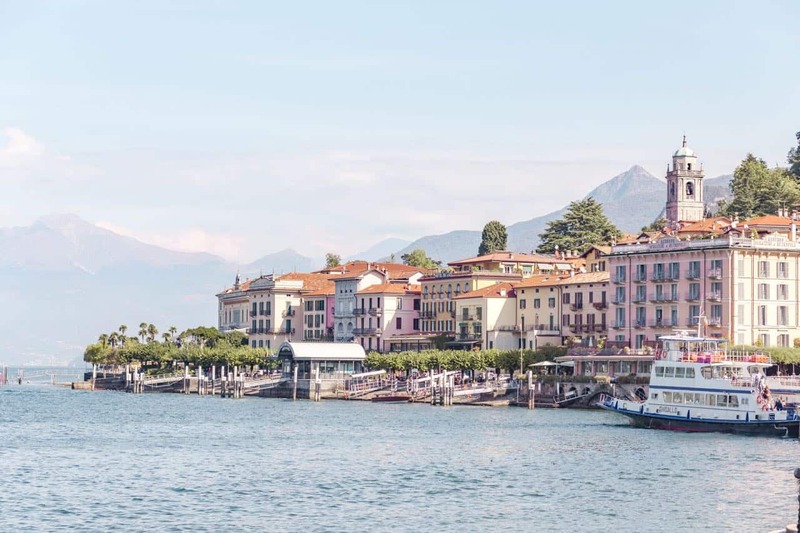 Not only is it gorgeous but it also lies between Lake Como and Venice, a convenient stop when traveling between the two popular destinations. Rome (3-4 days): First of all, make sure you stay in old Rome. 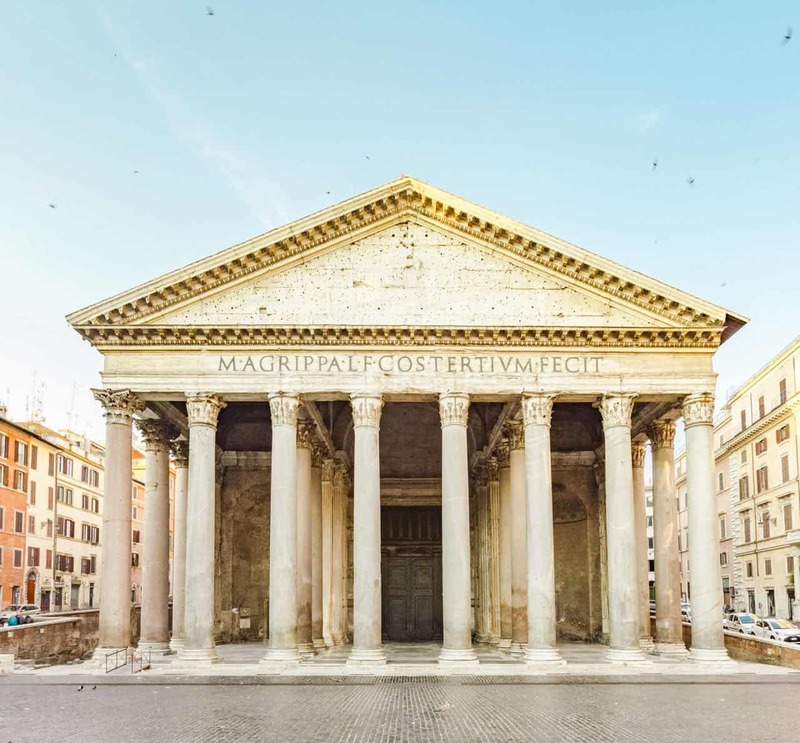 If you’re looking to be in the middle of the action, then pick an apartment overlooking Piazza Navona or a few steps from the Pantheon. 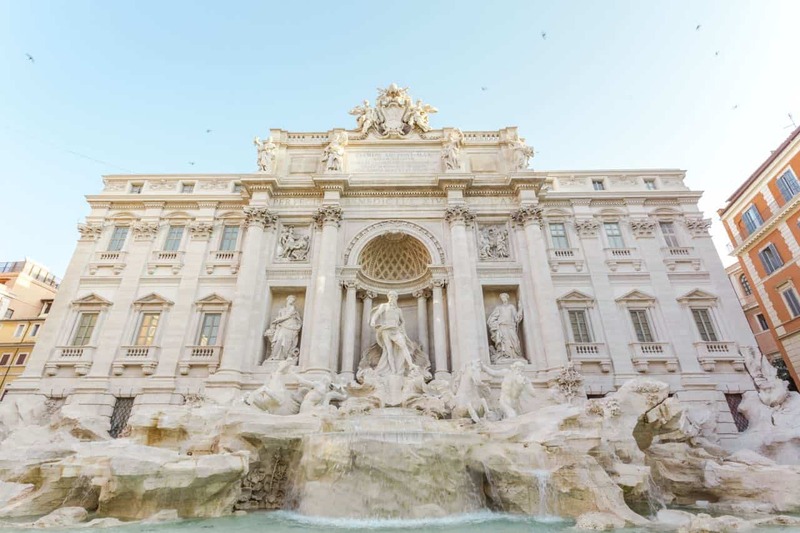 Rome is filled with lively places to stay including the Trevi Fountain, Spanish Steps, Vatican & St Peter’s Basilica, Coloseum, Piazza Navona and Palatine Hill. The Vatican and St Peter’s Basilica will most likely take a day to see so make sure you reserve tickets ahead of time to minimize wait times. If you want to shorten your Vatican day, you can stop in to see St Peter’s Basilica and skip everything else (this means you won’t get to see the museum or Sistine Chapel). 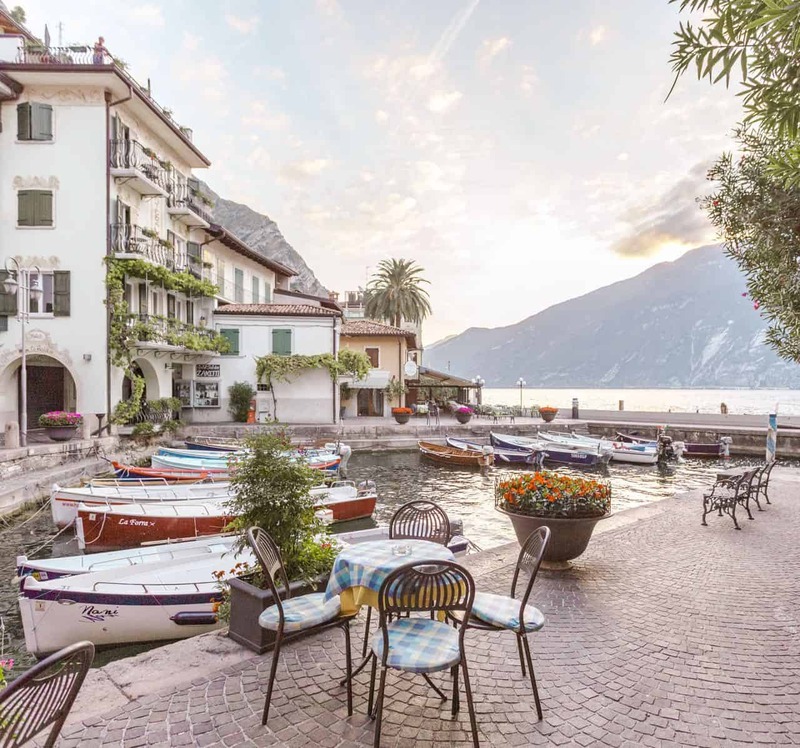 Lake Como (3-4 days): You can either stay in Bellagio or in Varenna. If you want a slightly less chaotic town, then I would opt for Varenna. Varenna is more laidback but still gorgeous and best of all, it’s only a 15 minute ferry ride from Bellagio. 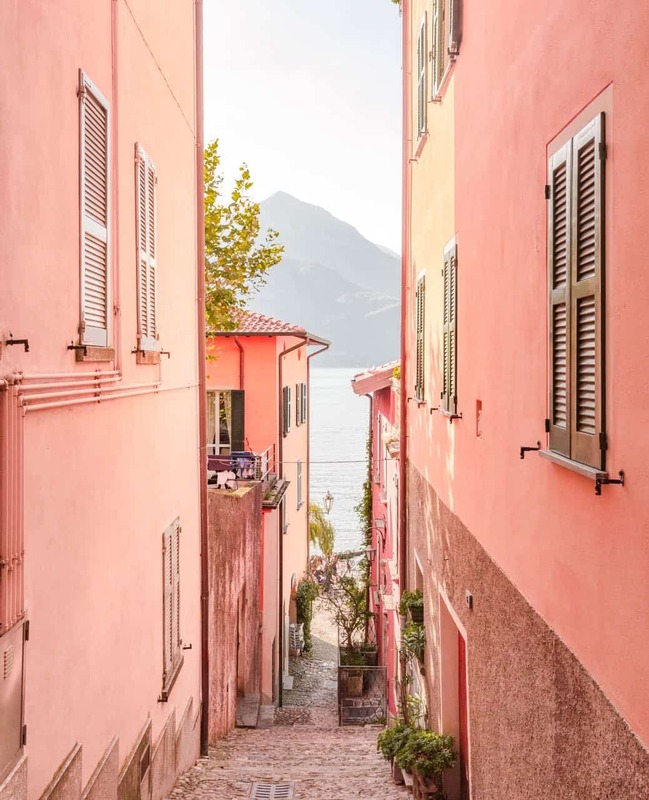 If you’re looking for hustle and bustle, then you’re better off spending your nights in Bellagio and making a day trip out to Varenna. Lake Garda (2 days): Lake Garda is quieter than its sister Lake Como. I’d recommend Limone Sul Garda, a beautiful town overlooking the water with its own lemon museum, cute shops and lemon products. 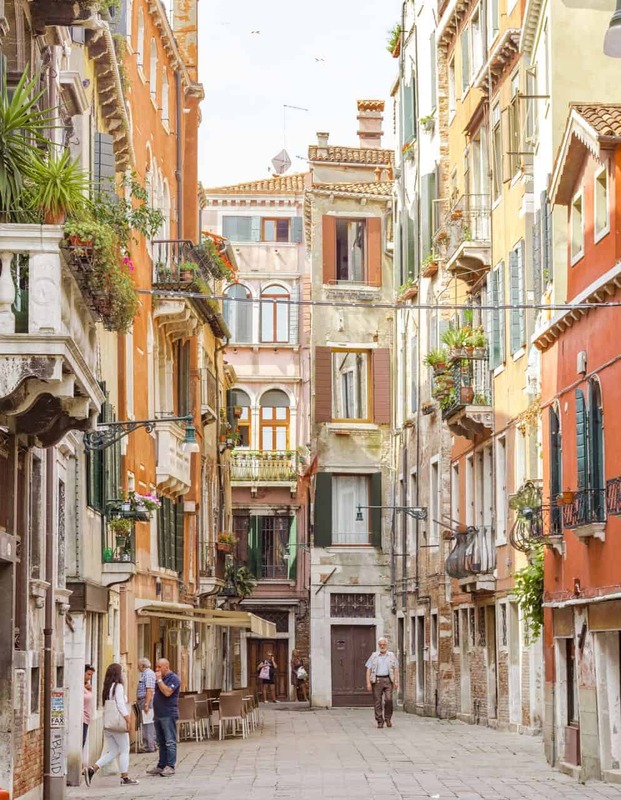 Venice (3 days): To avoid the chaos in Venice, stay at an Airbnb or hotel overlooking one of the canals. The alleyways and neighborhood streets are much quieter but within easy reach of the hub of the city. Visit St Mark’s Basilica and the Doge’s Palace and take a gondola ride at sunset. You can day trip to Burano and Murano (glass making islands). 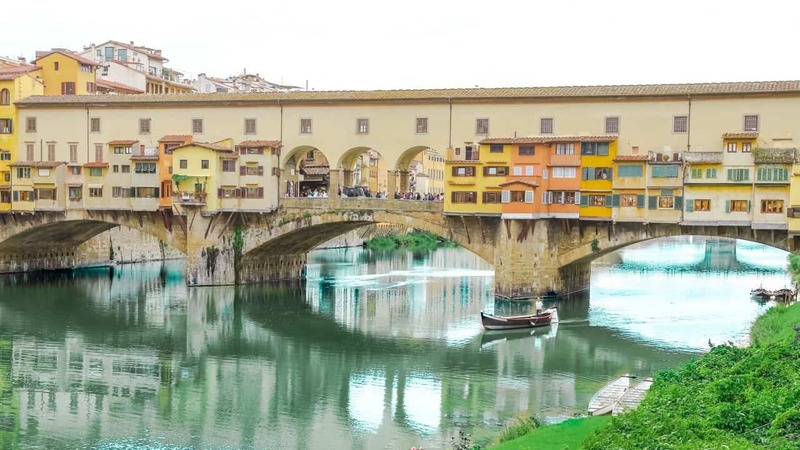 Florence (3-4 days): Make sure you stay in the old town of Florence as that is where all the charm and art is located. 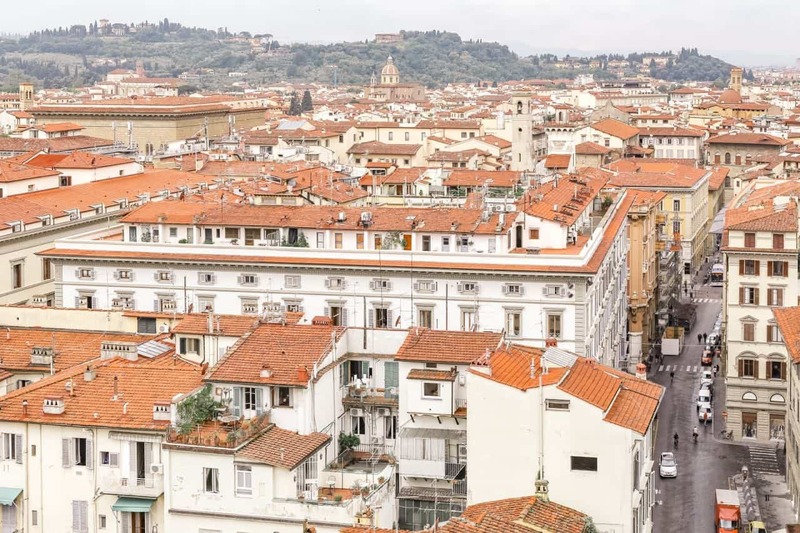 You want to make sure you see the Duomo, climb the Campanile di Giotto for amazing views and walk over to Ponte Vecchio to admire local artists. I’d also recommend a day trip to Tuscany, especially San Gimignano, a medieval town with beautiful old town charm. Amalfi Coast (2-3 days): The Amalfi Coast is made of several adorable towns to visit. Positano is the most famous and is where most people choose to stay. Activities in this area are more geared towards outdoor things like hiking Path of the Gods, an Amalfi Coast cruise, a day trip to Sorrento, the Duomo di Sant’Andrea and a visit to Ravello. Verona (2 days): Verona is a charming city with great historical importance and makes a great base for exploring this foodie-centric region. Visit the arena and explore the vendor stalls at the Osteria Sottocosta plaza. You can also opt to day trip to Bologna or Parma. *Top tip: Rent a car for your time in Sardinia. The island is best explored by car as there isn’t much by way of public transportation. Cinque Terre (2 days) – Cinque Terre (five lands in Italian) is made up of 5 different villages dotting the coast. You’ve got Manarola, Monterroso al Mare, Vernazza, Riomaggiore and the lesser known Corniglia to explore. The easiest way to travel between villages is by train so this part of your itinerary does not require a car. You can also opt to visit Greece during your two weeks in Europe. Greece is packed with beautiful islands that it’s easy to spend fourteen days there. I think this is why Greek cruises are so popular and why many people come to Greece to island hop. Remember that you’ll most likely have to take a ferry at least once during your island hopping but note that some ferries are hydrofoils (fast ferries but more expensive). More than likely, you will fly into Athens in order to get to Santorini. 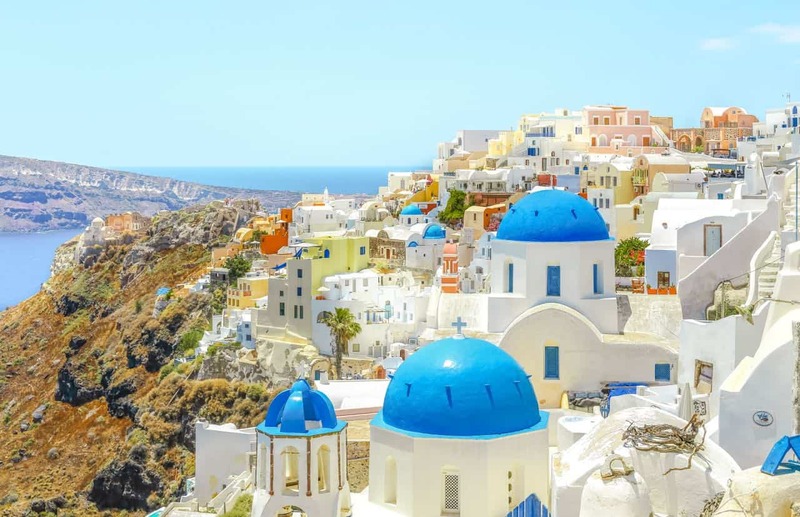 If you are Europe-based, then a direct flight to Santorini is feasible but if you’re based in the USA, flying straight to Santorini is usually extremely expensive. In that case, you’ll want to look into a flight to Athens. Jet lag and travel will leave you tired so I’d recommend spending the first night in Athens and then catching either a ferry or flight out to your first island early the next morning. Flights between the islands start as early as 6am so you can easily get a head start on your vacation. I don’t recommend Athens for my Europe itineraries so I think one day is plenty. You’ll have just enough time to go see the Acropolis and some of the temples and then have a cute dinner before heading out the next morning. Santorini (3-4 days): Some people may say that Oia is overrated but I think it’s one of the most beautiful places in the world. Yes, there will be a lot of people (most cruises disembark in Santorini so you’ll get to witness the hoards of cruisers that come to see the famous sunset in Oia) but if you make sure you stay overnight in Oia, you’ll get to experience it early in the morning and late evening when there aren’t quite as many people around. I’d recommend renting a quad or car and taking at least a day to explore the island. Head to Fira, Akrotiri, Red Beach, Black Beach and the hidden town of Vlihada. Paros (2 days): A few must-see places in Paros: Parikia, Naoussa, Lefkes and the Folklore Art Museum. Paros is a quieter island and really doesn’t see much traffic during off season. I’d recommend visiting between late June and early September. 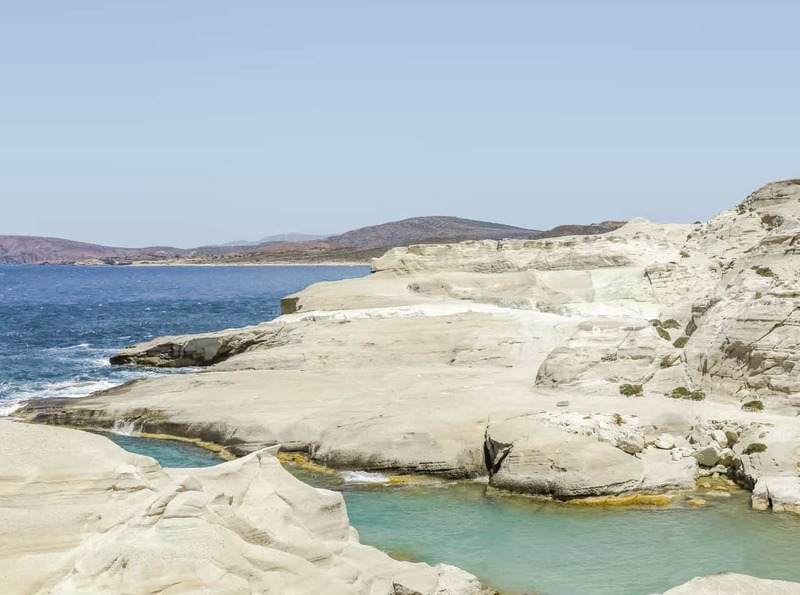 Naxos (2 days): Another quieter island with beautiful beaches…visit Plaka Beach, the Temple of Apollo, Mikri Vigla Beach, Agios Prokopios Beach and old town for some great photo ops. Mykonos (3-4 days): Known as the party island in Greece, Mykonos is on pretty much everyone’s bucket list. 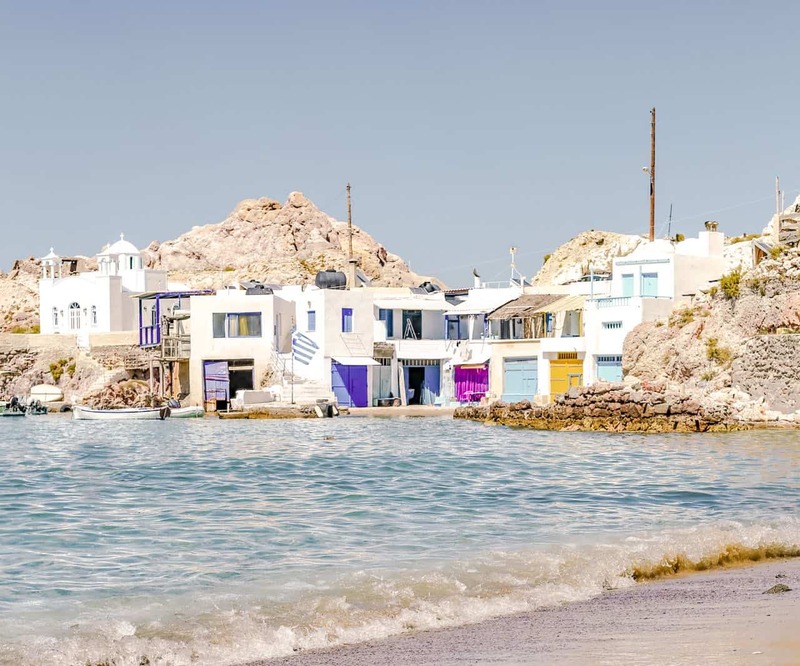 For the most iconic spots, head to Mykonos Town, Little Venice and the windmills. FAQ: What is a good itinerary for a 2 week trip to Europe in June? We have actually visited Europe in June several times and it is one of my favorite months to visit. The weather is amazing and places are not too crowded, especially the Greek isles. One of the Euro trips was to Santorini and Milos and had we had more time there, I would have added Folegandros and Crete because they are both fantastic islands to add to this itinerary. While Folegandros is tiny and really only needs a night or two, Crete is quite large and has a lot of areas to cover. Santorini (3-4 days): As mentioned above, I think Oia is one of the most beautiful places in the world, even though a lot of people will tell you it’s overrated. There are definitely a lot of people that visit (most cruises disembark in Santorini so you’ll get to see the hoards of cruisers that come to witness the famous sunset in Oia) but if you make sure you stay overnight in Oia, you’ll discover why I love it. It’s super charming early in the morning and late evening when there aren’t quite as many people around. I’d recommend renting a quad or car and taking at least a day to explore the island. Head to Fira, Akrotiri, Red Beach, Black Beach and the hidden town of Vlihada. Milos (3-4 days): Milos is more of a traditional Greek island with more than a handful of amazing beaches: Sarakiniko Beach, Kleftiko Beach, Firopotamos Beach. The biggest towns are Adamants, Pollonia and Plaka. You can day trip out to Kimolos or to Folegandros. Head to Katergo Beach and the Church of Panama for some iconic spots on Folegandros. Sifnos (2 days): This island is relatively undiscovered and makes for a great short stay. You can visit the Chrisopigi Monastery or hike the many hiking trails on the island. Head to Apollonia for cute street photo ops. Crete (4 to 6 days): As a large island, it’s hard to truly cover Crete in just 4 days so consider extending to 6 days. The island has a lot to offer and each side is completely different than the other. The best way to get around the island is to rent a car and explore every bit. If you want a mix of super touristy with a bit of up and coming, then opt for a Prague – Vienna – Krakow – Bratislava itinerary. 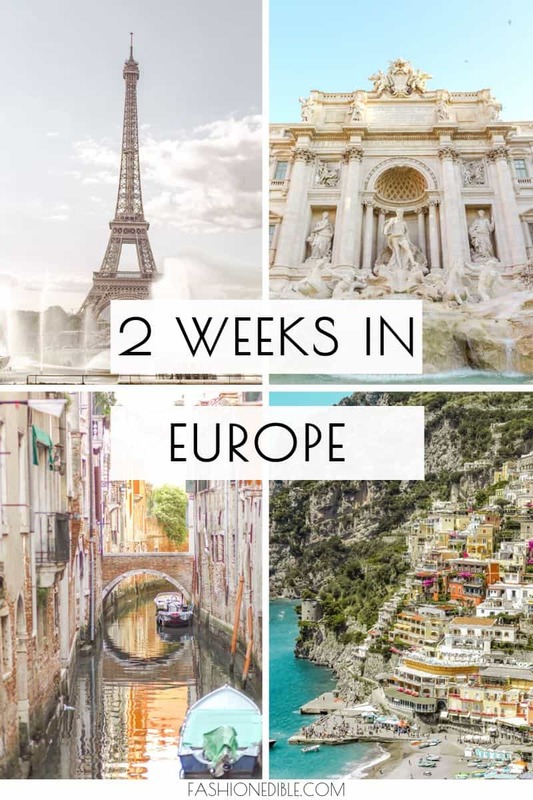 This 2 week Europe trip itinerary lets you sample four countries with fantastic history, beautiful culture and delicious food. Each of these places has quite a bit in terms of sightseeing so I’ve listed them all out beside the destination. Prague (3-4 days): So many great things to do in Prague: visit Prague Old Town Square, walk down Charles Bridge, visit Prague Castle (including Lobkowicz Palace), and engage in some unique foodie things to do like pub crawls and medieval dinners. St Nicholas Cathedral, Wallenstein Palace Gardens, Prague Astronomical Clock are also great options and you can take a day trip to Karlštejn Castle. Krakow (3 days): Still a bit undiscovered, Krakow has many photo ops and interesting things to do. Visit Wawel Castle, day trip to Wieliczka Salt Mine, wander around old town & town square, visit St Mary’s Basilica. If you love parks, you can choose between Planty Park & Ojcowski. Bratislava (3 days): Two beautiful castles to choose from (Devin & Bratislava Castles), a climb up St Michael’s Tower and food tours will make you fall in love with this city. This two week Europe trip itinerary focuses on the UK and covers England, Ireland, Northern Ireland and Scotland. It touches the surface of each and I can guarantee will have you wanting to return for more. London (3-4 days): London has plenty of places to visit: Big Ben*, Tower Bridge, Westminster Abbey, Hyde Park, Trafalgar Square, the British Museum, St. Paul’s Cathedral, Buckingham Palace and Sherlock Holmes Museum. 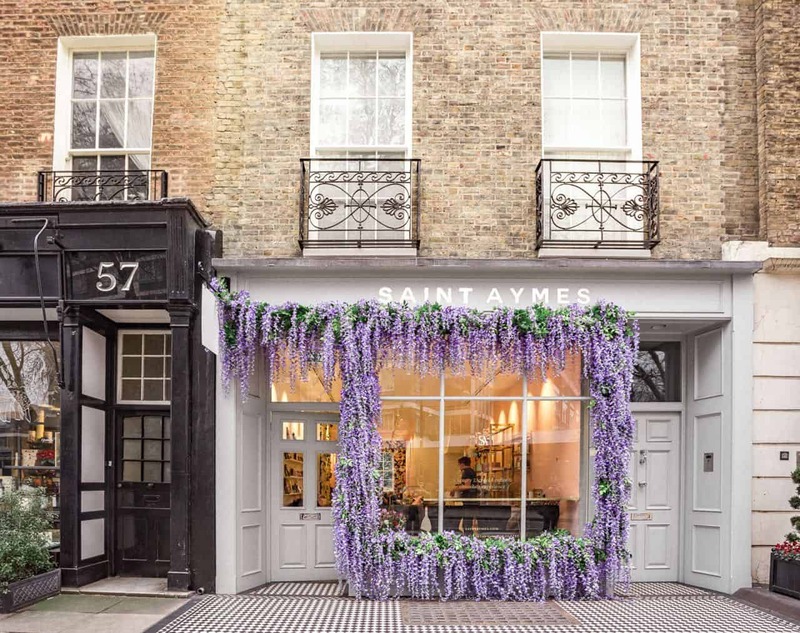 As far as neighborhoods go, Shoreditch and Notting Hill are charming and Regent Street and Covent Garden are great for shopping. Make sure you reserve at least one afternoon tea because there’s no better place to have tea than London. Dublin (3 days): Make sure you stay in the city center. 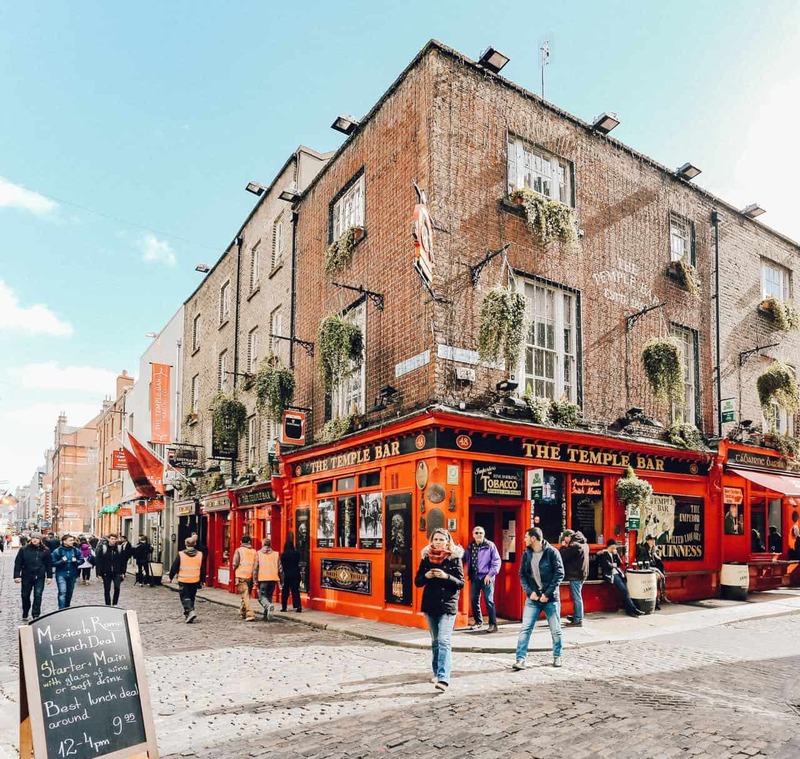 Take a day trip to Blarney Castle, tour whiskey museums and go on a pub crawl, visit Trinity College, St. Patrick’s Cathedral, the Famine Sculptures and the Guinness Storehouse and walk around Dublin’s parks (St. Stephens Greens, botanical gardens in Glasnevin). Make sure to snap a photo of Temple Bar. Belfast (3-4 days): The capital of northern Ireland has its own charm. You can take a Game of Thrones tour, visit St George’s Market, see Ulster Museum and spend some time in the botanical gardens. Belfast also has a Titanic Museum if you’re a Titanic nerd. I’d also recommend a day trip to Giant Causeway. Glasgow (3-4 days): Food and drink are highlights in Glasgow so go on a whisky tasting tour or beer tasting tour. Visit Kelvingrove Museum, Riverside Museum, walk Buchanan Street or take a tour of Glasgow University. You can do a fun day trip to Edinburgh. 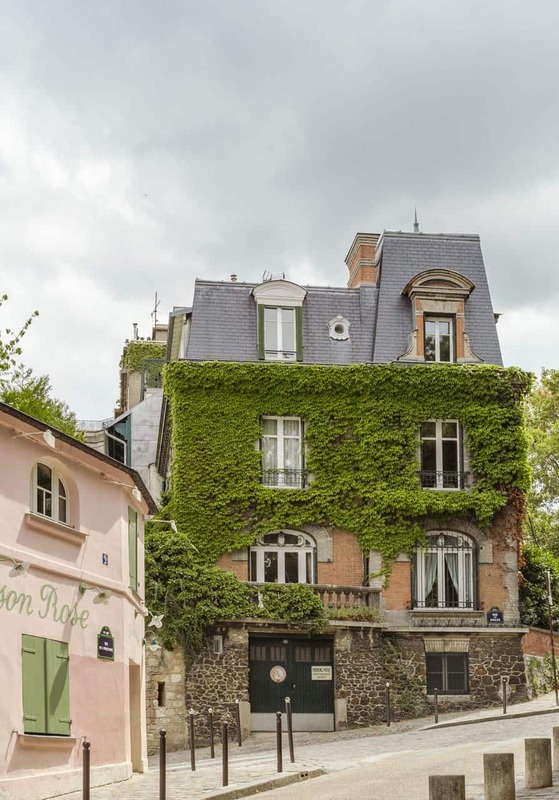 Paris (3-4 days): I’d opt for staying in Le Marais, an artsy neighborhood with charming streets and restaurants or closer to Montmartre for your 3-4 day stay. Museums the Louvre and Versailles (for die hard history fans – this will take at least half a day to complete). Don’t forget to visit Notre Dame and Arc de Triomphe. 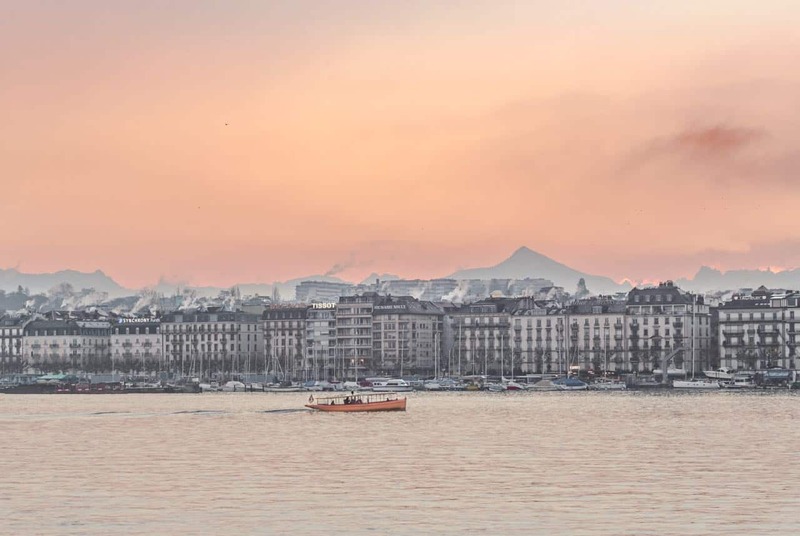 Geneva (3-4 days): Though Geneva is located in Switzerland, it is French speaking and makes for a great addition to this itinerary. Depending on the time of year you visit, you have numerous activities available including hammams, chocolate tours, history museums and lake activities. 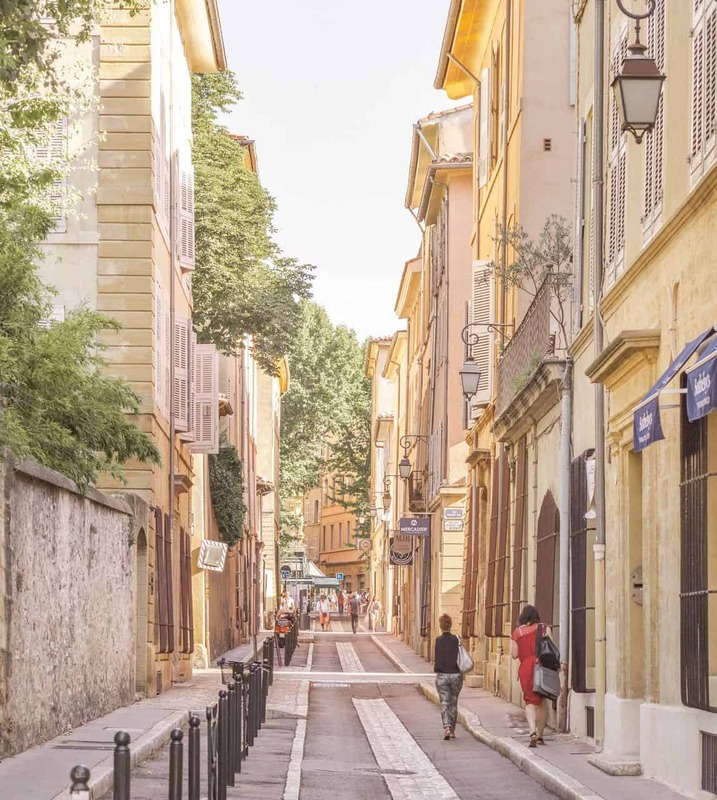 Aix-en-Provence (3 days): You can use Aix-en-Provence as a base to explore the surrounding area. You can day trip to Marseilles, Cannes or Nice or you can do a winery tour. And if you’re visiting during July, make sure to see the lavender fields of Valensole. Toulouse (3 days): Toulouse is full of religious sites to visit: Basilique Saint-Sernin, Church of Les Jacobins, the Jardin Japonais and the Musee de Augustins. You can walk the Quai de la Daurade at night for some great views. 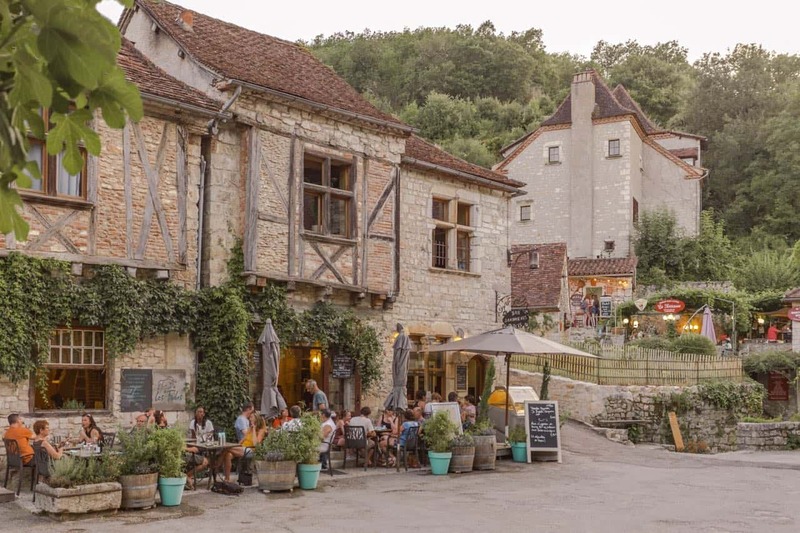 Saint Cirq Lapopie (1-2 days): The entire southwest region of France is a bit of a hidden gem. Saint Cirq Lapopie is one of the biggest towns and is a charming maze of alleys, ivy covered walls and ancient houses. The town is small so day trips are highly recommended: Conques, Cordes sur Ciel and Collonges-la-Rouge. 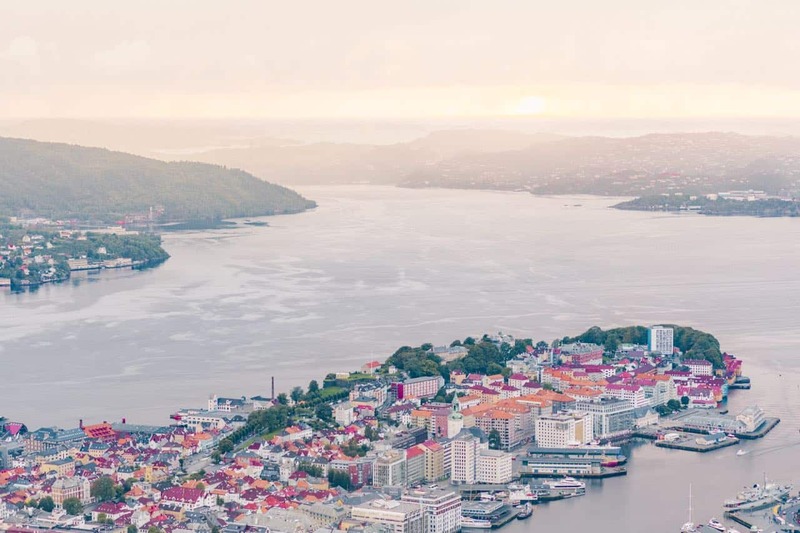 Bergen (2-3 days): This cute Norwegian city is charming and colorful; you can ride the teleferique (aka funicular) to the top of Mount Fløyen or visit the leprosy museum. 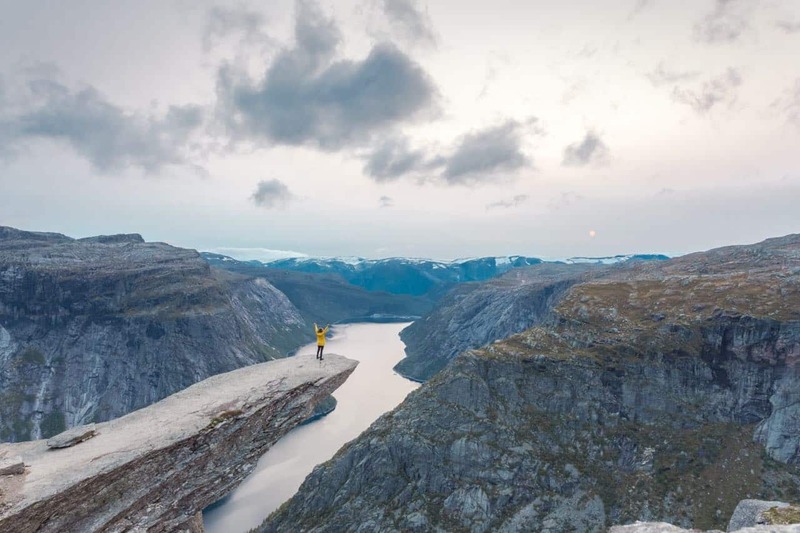 If you’re a die-hard hiking fan, then I’d highly recommend doing a day trip to Odda, the starting town for the famous Trolltunga hike. If you decided to add this to your Bergen stay, you’ll want to leave between 5-6am as the driving distance between Bergen and Odda totals around 3 hours. Copenhagen (4 days): This beautiful city has a lot to offer. Nyhavn is one of the most photographed spots in Copenhagen and Strøget is a cute area to wander. You can visit the Little Mermaid sculpture, Amalienborg (home of the Danish royal family), Rosenborg Castle, Christiansborg Palace, the Ny Carlsberg Glyptotek museum and climb Rundetaarn (the Round Towner) for amazing views over the city. You can also day trip to Malmö or Lund in Sweden. Stockholm (3 days): This Scandinavian capital is known for Drottningholm Palace, the Royal Palace, ABBA museum and its maritime museum complete with an old ship. Photographic opportunities lie in Stortorget, the public square with beautiful and colorful buildings. You can also visit Kungsträdgården, the public park. Stockholm has a few great food tours as well. Helsinki (3 – 4 days): Helsinki is grounds for a UNESCO site, the 18th century fortress called Suomenlinna. A few other great museums and landmarks include Rock Church, Ateneum and Market Square. Be sure to take a canal cruise, food tour or consider a day trip to Tallinn Estonia for a completely different vibe. *If you prefer cruising, this makes a great Europe cruise itinerary. Check out our experience cruising the Adriatic with Celebrity. Cruising is only recommended for those who are fine with having to stick to a set schedule. Dubrovnik (3 days): Dubrovnik lies on the Adriatic and is a gorgeous medieval city oozing with street charm and beautiful coast. 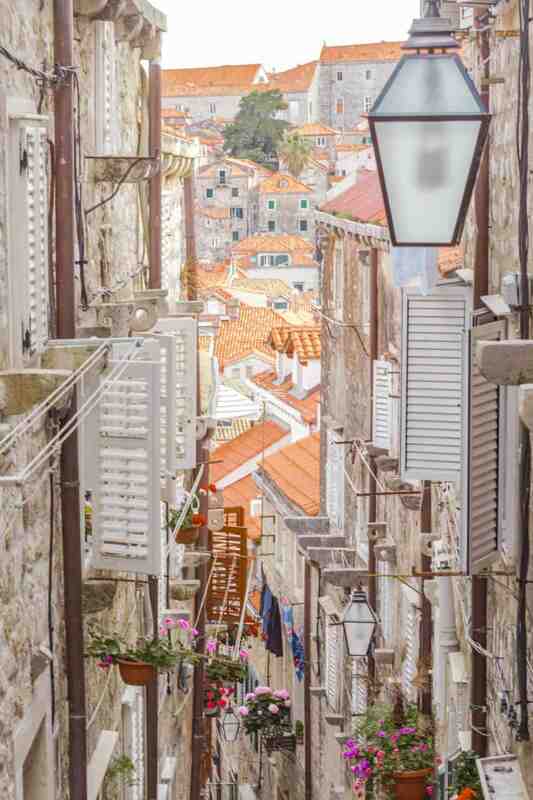 If there’s one thing to do in Dubrovnik, it’s to walk the old wall around the city. There are plenty of photo opportunities along the streets and alleyways so make sure to climb up and explore. Take jet skis out to explore the coast or a ferry to Lokrum or Mljet. If you want a longer day trip, visit Korčula. Kotor (2 days): Montenegro is still a bit undiscovered but 100% worth exploring. This destination will be a little more relaxed; you’ll be able to leisurely wander through town, try out different restaurants and enjoy nature. Climb the steps to the top of St Johns Mountain to see views over the city (passing Church of Our Lady of Remedy) and walk around the castle ruins at the top. You can also take a boat out to Our Lady of the Rock, an artificial island off the coast. 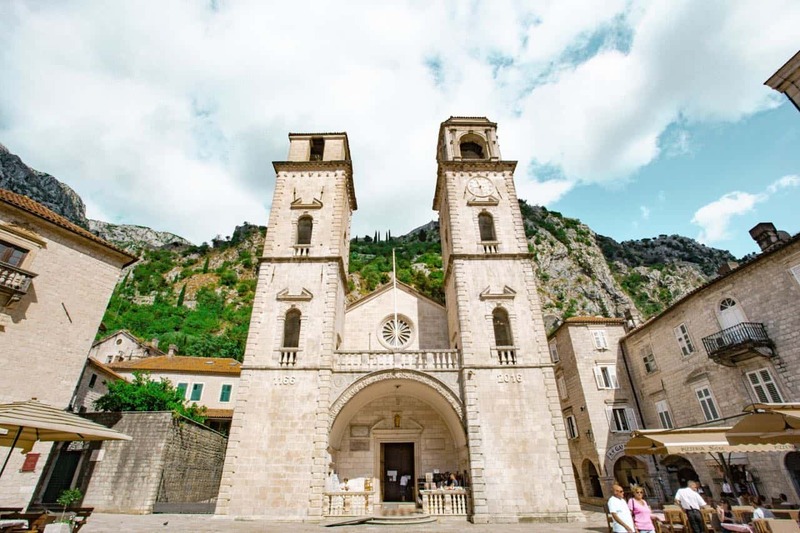 Visit the Kotor Cathedral in Old Town and do a day trip to Lake Skadar. 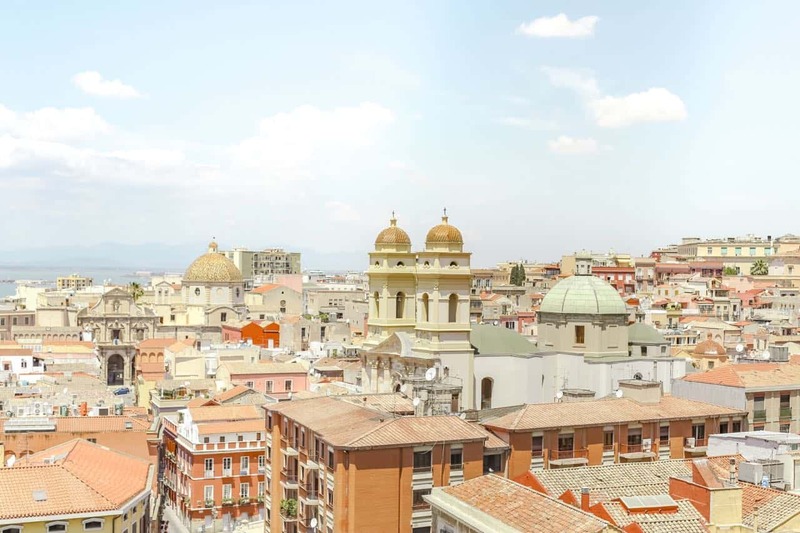 Naples (3-4 days): Italy’s Naples is known for its amazing pizza so you won’t want to miss that. For some Naples-based attractions, visit the Royal Palace, the National Archaeological Museum and explore underground Naples with a guide. Art lovers will enjoy the Museo Cappella Sansevero. 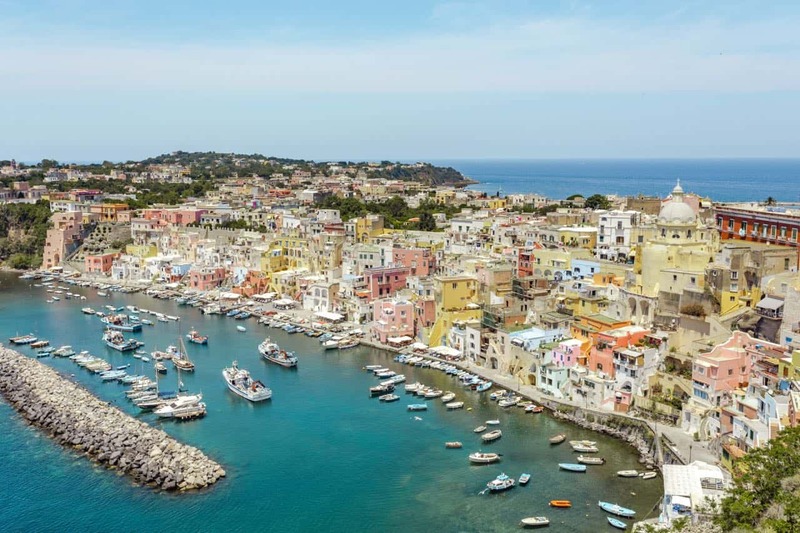 You’ll have plenty of day trip options in Naples: the islands of Procida or Ischia, Pompeii and Mount Vesuvius are among a few. 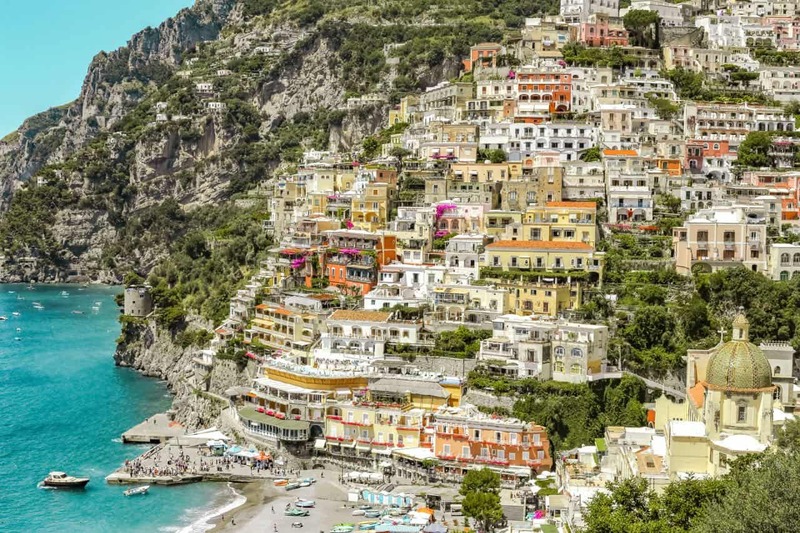 Some people also choose to visit Positano or Sorrento from Naples. Catania & Taormina (2 days): It doesn’t matter where you base yourself but you can split 2 days between Catania and Taormina. Inside Catania, you can visit the old castle as well as grab a photo of the elephant statue. Mount Etna is nearby if you’re looking for one of nature’s wonders (you need to go with a guide if you plan to hike it). Your day in Taormina can be spent walking around and visiting the old Greek theater for its views over the water. Valletta (2 days): The capital of Malta lies along the coast. St Johns Cathedral and the public gardens at the top of the city are worth a visit. 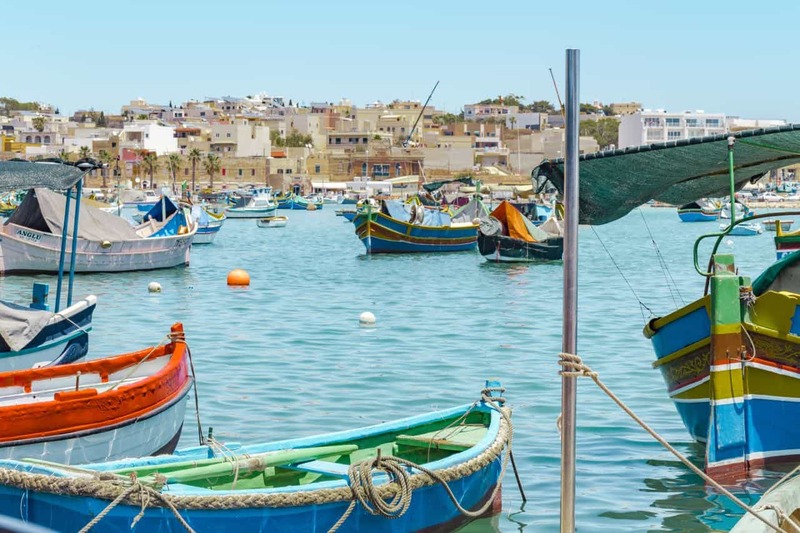 You can also travel to the bright and colorful city of Marsaxlokk as well as take a boat trip through the Blue Grotto. 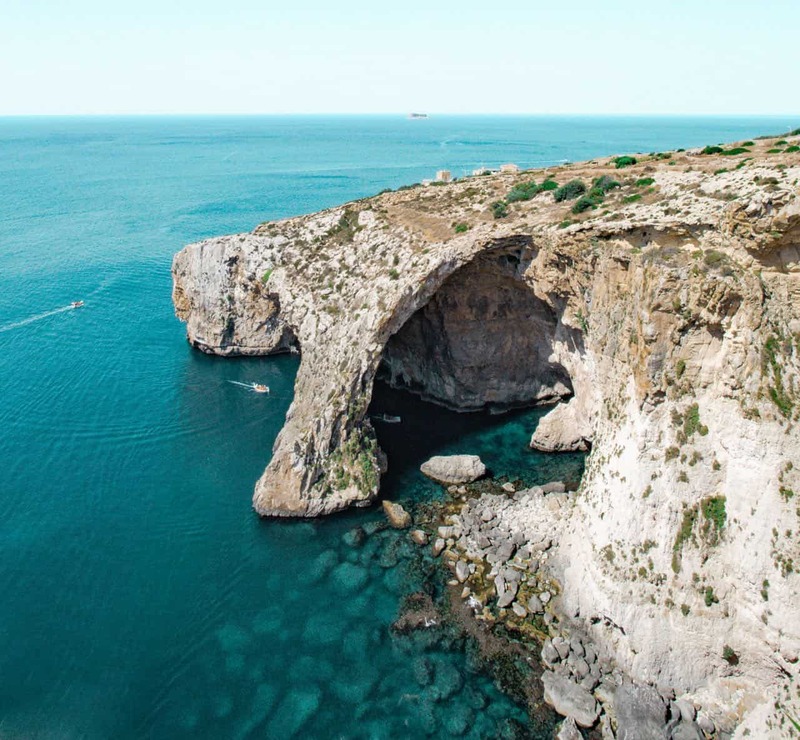 Spend a day on Gozo but note that the Azure Window in San Lawrenz, Malta unfortunately collapsed in 2017. FAQ: What is the best two week Europe itinerary to experience nature and culture? This itinerary is one that I did with my family on our very first trip to Europe and I think it gave us a great mix of nature and culture. It consisted of Paris – Colmar – Hallstatt – Lauterbrunnen – Venice. Each destination has its charm and together, they give you a fun combo of city, charming small town, fairytale living and beautiful nature. To this day, it’s possibly my favorite European itinerary. Paris (3-4 days): Depending on what you want to see this trip, I’d recommend staying in Le Marais, an artsy neighborhood with charming streets and restaurants or near the Eiffel Tower if you don’t mind crowds. This gives you a more central location. You should have time to see the Louvre and Versailles (for die hard history fans – this will take at least half a day to complete). Don’t forget to visit Notre Dame and Arc de Triomphe and walk the stairs up to Montmartre and Sacre Couer. 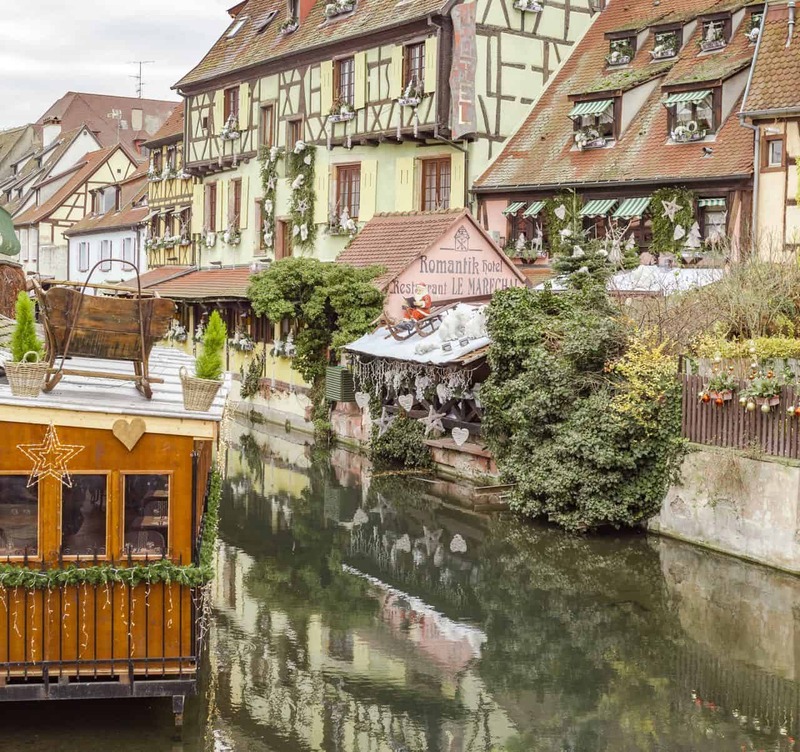 Colmar (2-3 days): Once you step inside Colmar, you’ll instantly feel transported to a different time, a surreal town with fairytale buildings and colorful walls. You can use Colmar as a base from which you can explore Riquewihr and Eguishim, both equally charming towns. If you’re looking more for a city, consider a day trip to Strasbourg. *The photo below shows Colmar during Christmas; this special town is adorable year round. 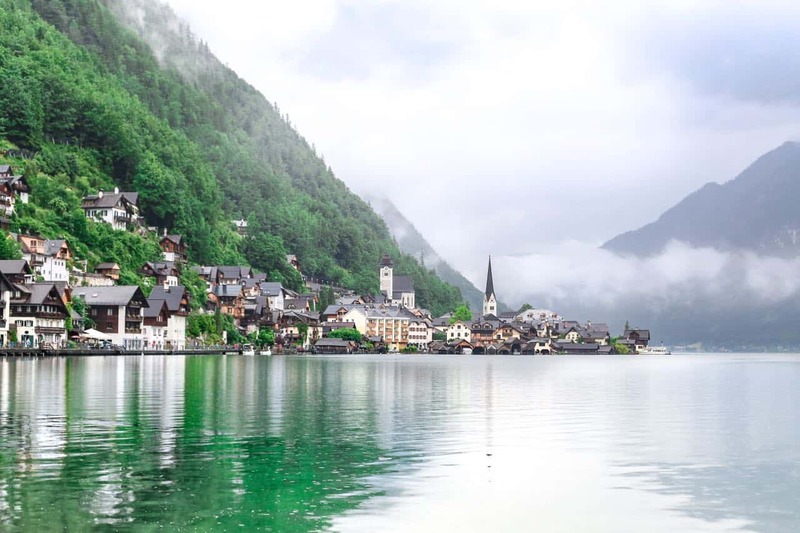 Hallstatt (2 days): This Austrian town is located on a lake and is quite picturesque. Take a tour of the salt mine (and have fun coasting your way back out on their mini “train”). Ride the teleferique and visit the Hallstatt Skywalk for some amazing views. Lauterbrunnen (2 days): This is a hiker’s paradise. 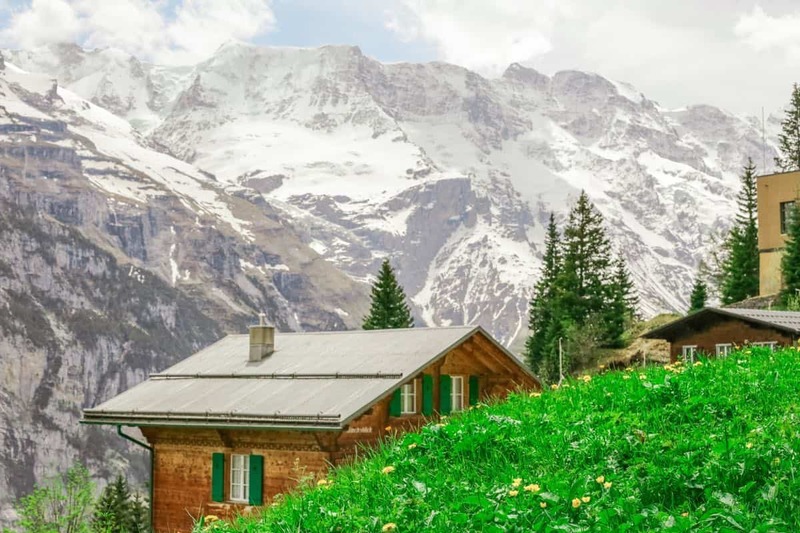 Lauterbrunnen feeds your nature-lust. You can hike to the towns of Gimmelwald and Wengen, and visit the famous Trummelback Falls. This is a great place to relax and enjoy your surroundings. Venice (2-3 days): I’m not sure if there’s anything quite like Venice. As mentioned above, stay at an Airbnb or hotel overlooking one of the canals if you want to avoid the many tourists that frequent this small city. 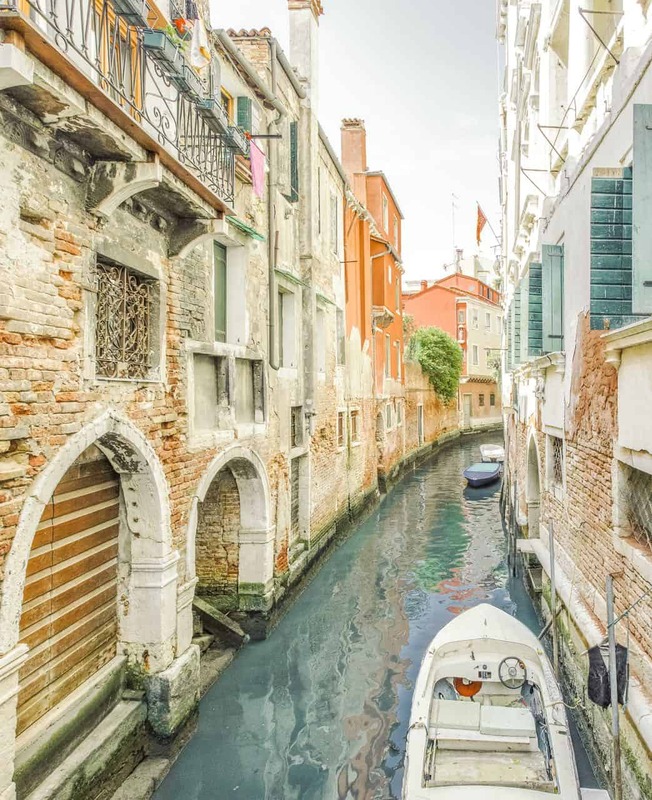 The alleyways and neighborhood streets are much quieter but within easy reach of the hub of the city and on top of that, you get adorable views of the canals and boats. Visit St Mark’s Basilica and the Doge’s Palace and take a gondola ride at sunset. You can day trip to Burano and Murano (glass making islands). You may want to develop your own itinerary, one that is completely tailored to fit your personality and taste. 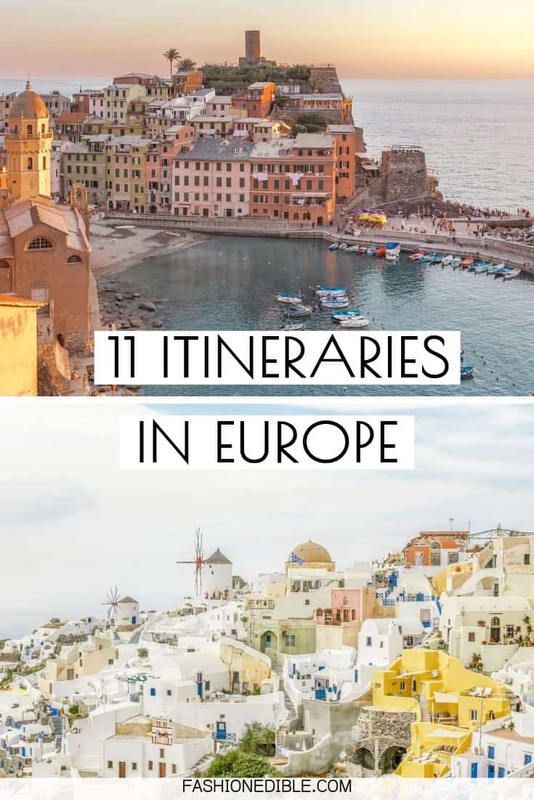 If you fall into this category and you don’t necessarily want to use one of the above European itineraries, then I’ve listed a few tips to keep in mind while you’re planning out your Europe trip. The first thing you’ll want to do is write down your top destinations, places on your bucket list that you’ve always dreamt of. If you’re not traveling alone, you’ll want those joining you to cross off their not-so-favorites until you’ve got the listed narrowed down to a maximum of 5 cities and/or 4 countries. We did this when my family of 7 traveled to Europe the first time. It helped everyone feel like they were a part of the planning process and we avoided places that members really didn’t care to visit. Keep in mind that you will want to keep your list regionally close (for example: if you have Paris, Berlin and Amsterdam on the list, you’ll probably want to reserve Coopenhagen and Oslo for a different trip because distance-wise, it wouldn’t make much sense to complete them all in one trip. Look at a map and try to arrange all your cities by their countries and specific regions. Once you have your cities and destinations narrowed down, you’ll want to figure out what you want to do in each place. Are you going to museums? What about outdoor activities like hiking or biking? Is there anything unique in that city that is a must do (for example, if you’re in Geneva you should definitely look into a chocolate tour or fondu making class). What are major landmarks in those cities that you can’t miss? If you’re a foodie, you’ll want to look into famous local dishes to try while you’re there or even unique souvenirs to bring home (for us these are usually food items). Depending on how many people are in your group, sometimes the best way to travel throughout Europe in 2 weeks is by car. I realize this is not the most popular choice but when you have a family of 5 or more, it is much more economical and in the long run, you save a lot of time (no waiting for a train or sitting at the airport before a flight). However, if it’s just two or three people traveling together, I would highly recommend public transport: trains, airplanes and in some cases, ferries. Most people assume that trains are the best way to go in every single case. However, that’s simply not true. While trains offer the best means of transport in some situations, sometimes flights are actually more economical, more time efficient and much easier to navigate. You’ll want to always check each route for the best option and go from there. If you’re traveling between islands, you’ll also want to look into ferries. When we visited Greece, we flew from Athens to Santorini, took a ferry from Santorini to Milos and flew from Milos back to Athens. I had researched various options and these were the most logical and practical choices for that particular trip especially when we had to factor in check out times for our hotel, flight schedules back to the USA and arrival times on each island. If you have a long distance to travel, you can look into overnight trains with cabins to maximize your time efficiently and if you choose to take the train often, look into rail passes. Like transportation, you’ll want to research what types of lodging you’ll book in each city. While hotels are universally the go-to option in most cases, you may be surprised to find that certain cities have other places to stay, for example bed & breakfasts or boutique hotels. Europe is rich in history and some of our best experiences were staying in charming residences like a castle-like mansion in Castle Combe, a beautiful historical hotel in Geneva, an ancient bed & breakfast in southwest France and a cave house in Greece. If we had just searched for chain hotels, we would have missed out on some gems. One thing to note if you decide on staying in something a little less mainstream… you may want to note check in hours as they typically are earlier than you may be used to with a hotel. If the establishment is privately owned, they may not be available 24/7 and rather have a pretty strict schedule they follow. Wow, there are some really fantastic itineraries here. I especially like your Italy itinerary, I really want to get to Lake Como. Italian lakes are so pretty! I hope you get to visit Lake Como this year! 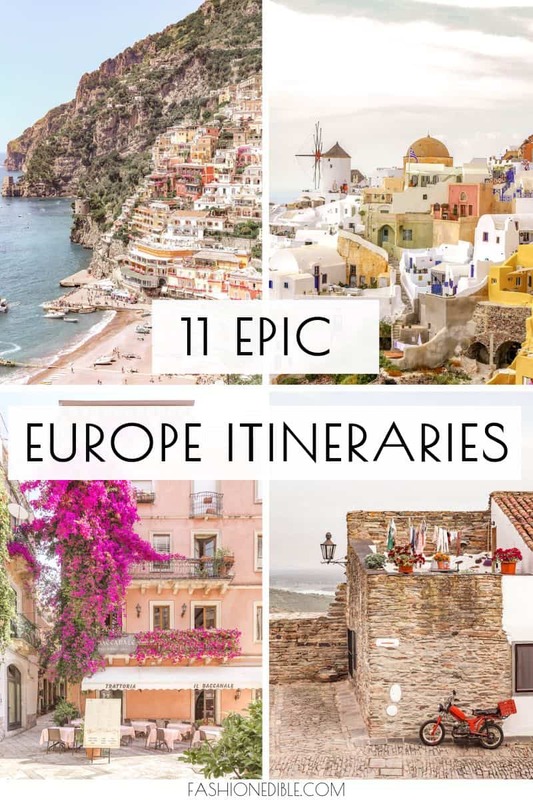 There are some corners that this European is yet to explore so I might try out some of these wonderful Europe itineraries soon. You’ve provided plenty of inspiration! Yay! I’m so glad! I feel like Europe has so much to offer! Quite an informative post. Loved the details. These are the things I would look for when I travel. Thank You.